MAC lipsticks have always been a favorite of mine. The "Brave" and "High Tea" are two extremely different colors, both new favorites. I leaned more towards High Tea because of it's unique neutral color which I think looks well with my light skin tone. Darker or olive skin tones probably wouldn't love this color as much because of it's nearly non opaque color. "Brave" was a little more on the darker side, but also quite flattering on my skin color. I'm thinking I made a good decison with these. The last MAC lipstick I purchased was "Pervette" which I absolutely hate. The Mineralize SkinFinish Natural is molded on to a small round terracotta tile and baked to create a light sheer application. I got "Light Medium" which turned out to be the best color selection for my skin. This is a "setting" powder so it's not designed to be used alone. I liked it for after my regular foundation to create a matte look. I tend to get oily around my "t zones" so this is good for that purpose. Do I like it? It's a little so so for me. I was expecting more. I used it around my eyes, big mistake. Powder around my eyes tends to make me look older, so I suggest using this "lightly" on your cheeks, forehead and other areas that tend to get shiny. This might be the one product I'd like to take back. The second product in the above picture is my Pressed Blot Powder in Medium. Similar to the Skin Finish, this more of a travel compact made to get rid of those shiny areas that sometimes occur throughout the day. Blot Powder contains Mica and Silica to adsorb excess oils and reduce shine on the skin's surface. Can be applied with the puff that comes in the compact or with a powder brush like #129 Powder/Blush Brush. Perfect for touching up Studio Fix Powder Plus Foundation throughout the day. This is "so-so" for me also. It's a good daytime powder, but I think I could have found something just as good for a bit cheaper. Overall, I would call this product, "Good"
MAC Cream Colour Base in Pearl is a versatile highlighting cream. You can use it under your eyebrows, cheeks, eyes or nose. If you have oily skin, you shouldn't use it this, you'll be better off with a powder. Love love LOVE this! Creates a beautiful highlight on your cheekbones, and I love it around my eye area, mostly around my tear duct. A little bit goes a long way with this, I'm so happy I found it. Favorite highlighter, hands down. The Studio Concealer in NW25 is not as concealing as I anticipated. Maybe the color is off, but i was expecting something a little less dry. People have been ranting and raving about this particular MAC product, so I'm thinking NW25 might have been a little too dark. Favorite product: MAC CremeSheen Glass in Partial to Pink. Wow where do I start? The color at first glance looks like your normal pink shine, but the pay off with this one is fabulous. 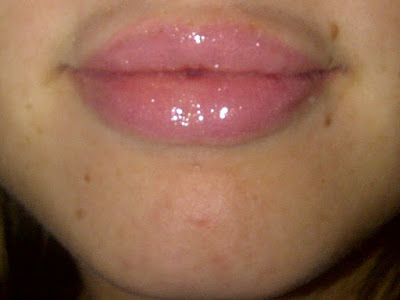 The gloss is a sheer medium pink which is thick and creamy but not tacky or sticky. The wear time is a couple hours, which is great for any lipgloss. I've provided links to each product in case you're interested in purchasing. I'm not affiliated with MAC in any way, and I was not paid or compensated for this review.